HIGHWAYS England has said all lanes have now been been reopened following a crash involving four cars which caused long delays on the M62 in West Yorkshire earlier today. 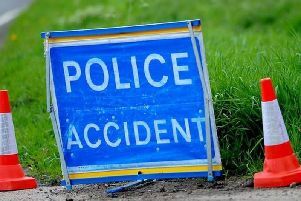 The outside lane of the M62 at the accident scene was closed while vehicles were recovered. Highways England tweeted at 5.08pm today: All vehicles recovered, one to hard shoulder awaiting recovery so please pass with care. All lanes are now open #M62 west bound between J25 and J24." Highways England had tweeted at 4.42pm today: "We have one lane closed while we deal with a four vehicle collision #M62 W/B btwn J25 and J24. Recovery on the way. Long delays approaching."